BLOOMINGTON, Ind. — An analysis of information shared on Twitter during the 2016 U.S. presidential election has found that automated accounts — or “bots” — played a disproportionate role in spreading misinformation online. 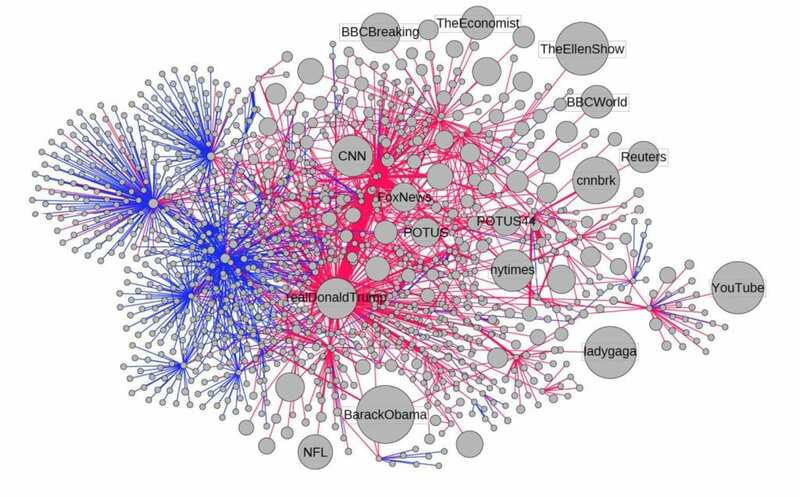 The study, conducted by Indiana University researchers and published Nov. 20 in the journal Nature Communications, analyzed 14 million messages and 400,000 articles shared on Twitter between May 2016 and March 2017, a period that spans the end of the 2016 presidential primaries and the presidential inauguration on Jan. 20, 2017. Additional authors on the study are Alessandro Flammini, a professor in the IU School of Informatics, Computing and Engineering; Kai-Cheng “Kevin” Yang, an IU Ph.D. student; Chengcheng Shao of the National University of Defense Technology in China, who was a visiting professor at IU at the time of the study; and Onur Varol of Northeastern University, who was a Ph.D. student at IU at the time of the study. Ciampaglia is now an assistant professor at the University of Southern Florida.